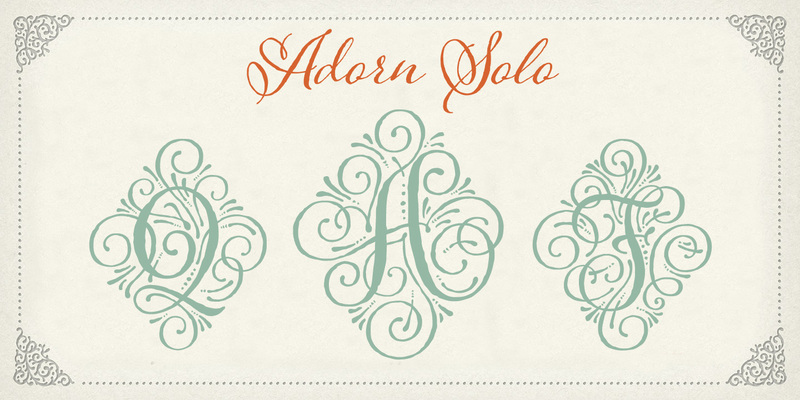 A fresh and airy monogram font – simply type in a lowercase letter and your monogram is finished! These monograms were carefully wrought: each combination of letters is a revelation of complex crafting, with no collisions or overlaps. 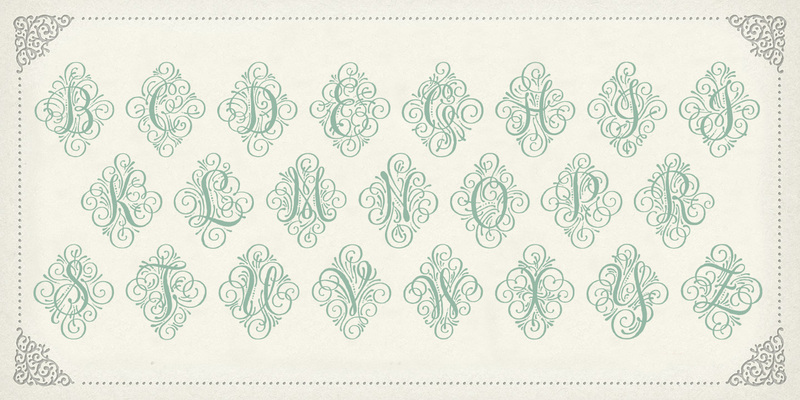 Despite their intricacy and detail, these are not your grandmother’s monograms. They are modern and bursting with personality. Worthington sketched them in pencil, then used a fountain pen for contrast and detail before digitization. Graphic designers will have their own uses for these; DIYers will see a takeoff point for jewelry, cards, invitations, rubber stamps—an endless source for personalizing and elevating the everyday, the special gathering, or a handmade creation. A font family published by Laura on Tuesday, July 26th, 2016 that has 1,961 views so far.